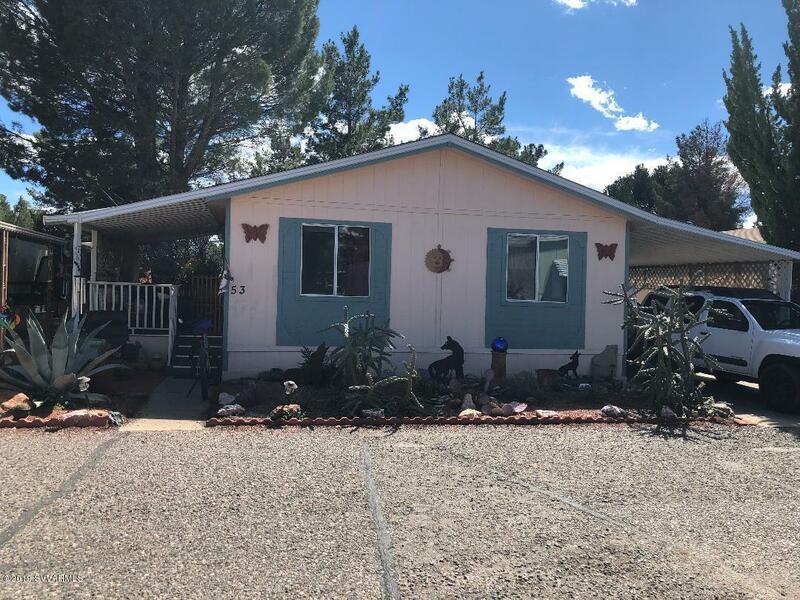 3 BEDROOM 2 BATH HOME IN SEDONA SHADOWS MOTIVATED SELLER LARGE BACK YARD STAINLESS APPLIANCESWHITE CABINETS ATTRACTIVE OPEN FLOOR PLAN CEILING FANS IN ALL ROOMS SPLIT FLOOR PLAN QUICK CLOSING POSSIBLE priced to sell Motivated seller Vaulted ceilings New carpet in living room. And masterNew linoleum in master bath Lots of storageLOT RENT IS $929 A MONTH WHICH INCLUDES USE OF POOL, FITNESS ROOM AND CLUBHOUSE amenities also include hot tub, horseshoes, billiards, darts, BBQ, picnic area as well as a fitness room and clubhouse, the latter also has a small library. Great red-rock views from porch in front of fitness center. Up to 3 pets are allowed per household.